Satto Tonegawa, an MIT freshman, was found dead in his dorm room at MacGregor House late last month. CAMBRIDGE - Satto Tonegawa was a bright teenager with a flair for piano and cello. Two months ago he started his freshman year at the Massachusetts Institute of Technology, where his father is a Nobel-winning neuroscientist. He had chosen to live in a single room in an unremarkable 18-story brick dormitory off Memorial Drive. That was where he died, asphyxiating himself with a bag full of helium. His body was found Oct. 25, five days shy of his 19th birthday. Nicolas Del Castillo was also a talented pianist who lived in a single at MIT. He had loved math since childhood and probably would have majored in it had he finished his sophomore year. Three days before classes began in September, he closed the door of his dorm room and hanged himself. He had just turned 18. All suicides are tragedies. But at MIT, where five undergraduates killed themselves between 1998 and 2001, the issue is especially fraught - and the tight-knit community is struggling to understand why it has suddenly lost two young students in two months. Last week, in response to the suicides, Grimson launched a task force to examine all aspects of student life, from mental health services to living arrangements. The school already offers some of the nation’s most comprehensive counseling programs, which are used by more than a third of students - comparable to statistics at other elite schools such as Harvard, where 40 percent of students see counselors. MIT’s suicide rate is not significantly higher than its peers’. Mental health professionals say no school can fully prevent suicide among students making the delicate transition into adulthood at a time when many major mental illnesses can first appear. Yet the wrenching details and timing of the two recent deaths have given MIT special cause to reflect, Grimson said. The recent victims’ youth is striking, compared with the 10 suicide victims at MIT from 2001 to 2009. Six were graduate students or postdoctoral researchers, and none were in their teens. Students have also turned to each other for support. Tonegawa’s single was in MacGregor House, a dorm divided into nine living groups, each with at least one resident adviser. 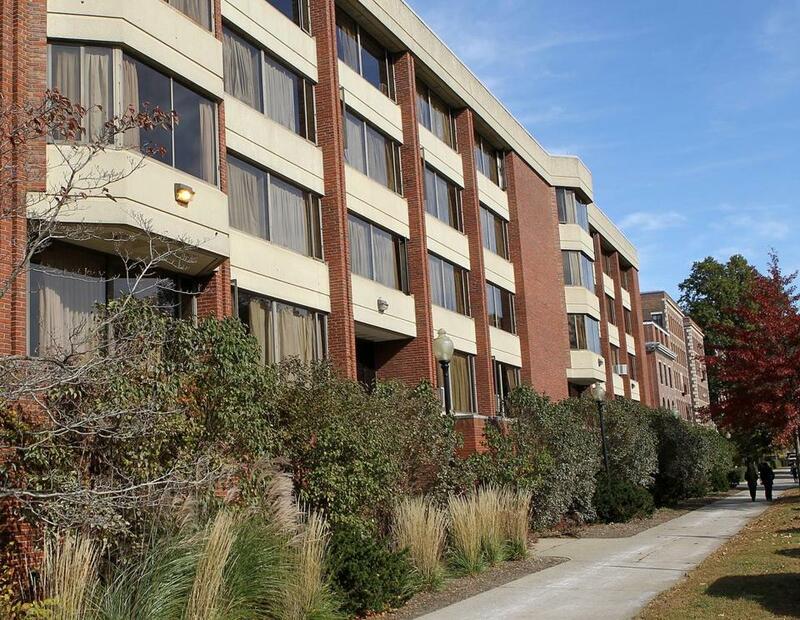 The dorm has a sad history - five students fatally jumped from its top floors between 1988 and 1999 - but is known for being a place where students form close bonds. In past years, residents of Tonegawa’s living group have held Thanksgiving potlucks, holiday gift exchanges, and road trips. Students in MacGregor House singles do not truly live alone. Tonegawa’s room shared a bathroom, kitchen, and lounge with seven others. Yet according to the campus newspaper, The Tech, students said they did not see him for a week before his body was found. MIT’s suicide rate roughly matches those of other schools and has been decreasing since the 1980s, though the school drew national attention earlier this decade after settling a lawsuit brought by the parents of sophomore Elizabeth Shin, who killed herself in 2000. After the Shin case, MIT dramatically increased mental health services. Its counseling center sees about 15 percent of the student body each year and 35 percent of any given class by graduation. It offers walk-in visits with therapists, a medically trained counselor on call round the clock, and an anonymous, Web-based suicide-prevention program developed by the Air Force and shown by large studies to be effective. The school makes a special effort to reach out to younger students. As they began their freshman years, Tonegawa and Del Castillo - along with all other freshmen and transfer students - were given an extensive health survey. Siegel, the mental health chief, invites all students who indicate psychological problems to meet with him. If they do not respond, he checks on them in December and again in the spring. As the task force launches its internal examination, Siegel is consulting other institutions. He heard from Boston University the day after Tonegawa’s death was announced, when Margaret Ross, the mental health director there - and a psychiatrist who spent 23 years at MIT - sent a note expressing sympathy and sharing her campus’s efforts. For instance, she said, surveys have shown that most students turn first to friends for help, so BU trains students in counseling techniques. Siegel said internal data suggest MIT students are more likely than others to seek counseling. But like BU, the school enlists people outside its mental health department to serve as a safety net. One training program, available to anyone on campus but targeted at resident advisers, is “intended to be the equivalent of CPR around suicidality,’’ Siegel said, training people to know when and how to refer students to professional counselors. Gregory Eells, a mental health specialist at Cornell University - which had its own spate of student deaths two years ago - said his school implemented a range of suicide-prevention strategies, such as putting barriers on its bridges and reconsidering its academic schedule. Mary Carmichael can be reached at mary.carmichael@globe.com. Her Twitter feed is mary_carmichael.